In less than 24 hours this Black Friday & Cyber Monday deal goes live. 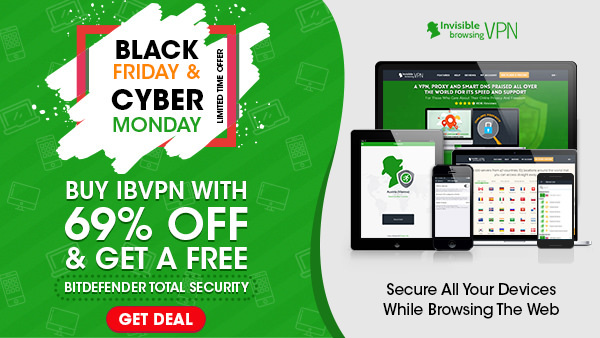 Standard VPN, ibDNS and Torrent VPN annual package for $18.47/ year. That’s $1.54/month paid yearly – 69% OFF! Ultimate VPN for $41.47/year. That’s $3.45/ month paid yearly – 69% OFF!